Have you ever gone through a season with God, where at every turn you feel like you are getting the crap kicked out you? That has been my life over the last 6 months, with the last month or so being the most intense. Throughout this time, I have come to recognize some things about myself that I thought had long been defeated. Life is much like that, a circular endless battle with your sin nature, where a new victory brings about crushing defeat. This manifests itself from greed, materialism, fornication, promiscuity, homosexuality, divorce, gossiping, drunkenness, and the list goes on and on. It is a thought so ingrained within us that even the church has fallen prey to it, reading the Scriptures in light of their sinful desires and using Scripture to justify their direction. 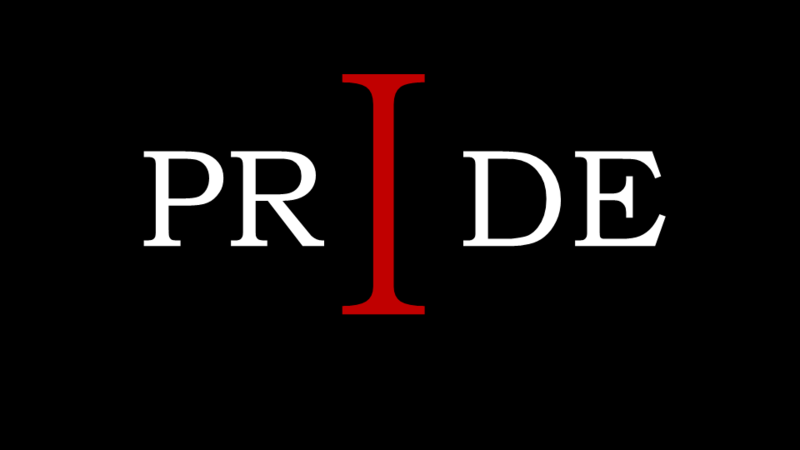 Some also use the text out of pride to call others to the floor, nitpicking their fellow Christians, completely devoid of grace, completely devoid of understanding. I am finding myself hypersensitive to this right now because of what God has been showing me about my life. We have failed so many times to take the whole council of the word and apply it to the church. Some are quick to accept and even embrace sin, and then others are quick to call out “heretic” the first time they hear something they don’t agree with. Both the merciful and the holy pound their chests in adoration of themselves. It is amazing how large we think we are. How large I thought I was, I am but a whisper in the wind, chaff, fog or dew in the morning. I am a momentary small insignificant thing, and until I recognized this to its fullest extreme in its totality, I was incapable of seeing past myself and to the glory of Jesus. Pride does this; it keeps us from reaching out, from accepting his mercy and his grace in its totality. Understand this, when I say that we can do nothing for ourselves, I mean absolutely and totally nothing. This is both a sobering thought and a terrifying one, a thought that brings humility and horror. You cannot do a little bit and let him do the rest; you cannot accept most of his sacrifice and then keep this or that to tend to yourself. You must completely and totally give it all to him, laying it in hands that you trust to be taken care of by the only one capable. I thought this was taking the easy path before, but now I am beginning to see that doing this in totality is one of the most difficult things a person will ever have to do. This is not something that we can do in one shot, as if it is some kind momentary decision. Over the next three weeks I am going to go over how this is to look, not only for all of you, but also for me so that I can remind myself of what this whole Christian thing should look like. If you’d like to look ahead, please do as the next three weeks will be covering 1 Corinthians 13:1-7. I hope that this finds all of you well, and that in reading this you search your own heart for the pride lingering there. If you do and see it there, the next three weeks should help in teaching you how to take care of it. Peace and Blessings and as always thank you for reading.